Our first duty, as a society, is to insure our own survival. Therefore, we have to avoid distractions and multipurpose activity. An A.A. group, as such, cannot take on all the personal problems of its members, let alone the problems of the whole world. Sobriety — freedom from alcohol — through the teaching and practice of the Twelve Steps is the sole purpose of an A.A. group. Groups have repeatedly tried other activities, and they have always failed. It has also been learned that there is no possible way to make nonalcoholics into A.A. members. We have to confine our membership to alcoholics, and we have to confine our A.A. groups to a single purpose. If we don’t stick to these principles, we shall almost surely collapse. And if we collapse, we cannot help anyone. 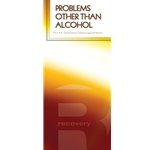 Reprinted from “Problems Other Than Alcohol” with permission of A.A. World Services, Inc.